Post description and blog description are very important, not because it tells visitors about your blog or post content because nobody reads it, I am talking about me, I don't read description of a site... Don't know about you :P . To me blog or post description both are just a way to show posts and blog on search engines. Because I use keywords in description so that search engines show my blog when someone types a relevant keyword which is present in my description. But what if you are using best keywords and still you get only fewer views or no views from search engines? if its happening with you then it means that the description that you are using is not having keywords which visitors are searching, so you need to find these keywords and replace them with existing ones. One best way that you can use to find best keywods for your content is to use Google Trends. You can guess keywords too, which you think vistors can use to search but accurate keywords are those which you will find in Google Trends. Another way to find best keywords is to find similar sites to your site which have good traffic and grab the keywords that they are using and put them in your site. It will not cause a © copyright issue. So Dynamic Description is description that is variable and changes according yo demand. For example I have post about blogger templates and I created it in 2016 and in description I wrote "best blogger templates 2016" and now its 2017 and the visitors are searching for "best blogger templates 2017" now I may get my blog indexed in 3rd or 4th page of search engine results but there are more changes that other sites having 2017 In there description will get indexed on first page. So I need to update my description to get my blog indexed on the first page. You have to change your blog or post description frequently to get + positive results. 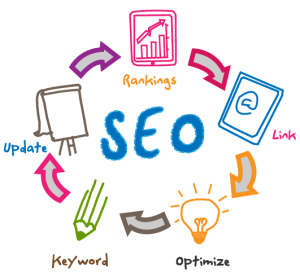 So dynamic description is a way to increase yraffic from search engines. And if you get traffic from search engines, it means you are a successful blogger! One last thing that I am going to tell you in this post is that if you change description again and again, you will need to wait for atleast 1 week to let search engines crawl your site and update the description. Which will definitely take alot of time because you will not get the best results from first changes but you might need to change description several times until you get some + positive results. So I brought a simple solution for this, now you don't have to wait for a week but you can set a time after which search engine robots will recrawl your site. So you can change, watch results and see if its improving your traffic or not. The solution for fast crawling is a meta tag mentioned below. You need to put it in your blog's template below <head> and set the time after which robots will crawl your site again. Remember that too much crawling of a site is not good so you need to change your description between given time and look for + positive results. After getting more traffic remove the meta tag. I hope you found this post meaningful. If you have any doubt, questions, suggestion and want to send us feedback, please leave a comment below. Read others posts and don't forget to share atleast one post. Thanks for visiting 101Helper, do visit again! After I put the meta tag for revisit-after 1 days; this error appears. "Error parsing XML, line 1676, column 3: The element type" meta "must be terminated by the matching end-tag" "." So, I passed the code through a Parse code tool. With the new code doesn't appear this error. Does the parse code work the same? i just added the code on my blog www.udemzytech.com,at first i got the error code but after adding / before the closing > it work fine,no more error.